ControlEdge™ Transition Tool migrate obsolete, risk-prone PLCs to productive assets that strengthen security of an industrial site. The tool captures necessary data required for upgrade planning by surveying and recording the number of obsolete PLCs present at a site. ControlEdge™ Transition’s automated conversion process upgrades ControlEdge PLCs and integrates into SCADA or DCS system. 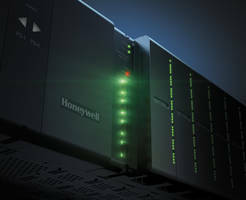 HOUSTON, June 4, 2018 – Honeywell (NYSE: HON) Process Solutions (HPS) today announced ControlEdge™ Transition, a tool that makes it easy to migrate obsolete, risk-prone PLCs to Honeywell ControlEdge™ PLCs. This transforms them from liabilities into productive assets that can enhance process uptime and strengthen the security of an industrial site. If not addressed, outdated PLCs can lead to increased cybersecurity risk or even trigger unplanned site shutdowns. Through a fast, automated conversion process, ControlEdge Transition supports upgrades to Honeywell ControlEdge PLCs, which can then be integrated into a SCADA or DCS system. Additionally, the speed and efficiency of the conversion procedure saves systems integrators and project engineers significant time, cost and risk compared to a manual migration effort. ControlEdge Transition can be deployed over mobile devices to survey and document the number of obsolete PLCs at a site while capturing relevant data that can be used for accurate upgrade planning. The tool’s bidding and engineering reporting capabilities can simplify the development of proposals and reduce engineering effort by 50 percent. In addition, pre- and post-migration reports provide extensive support for design, installation and commissioning of new PLCs. For more information visit ControlEdge PLC.